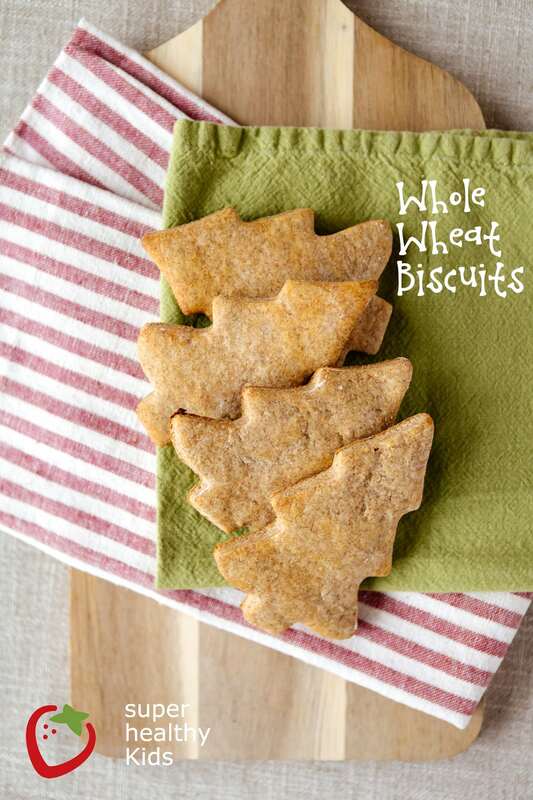 These delicious whole wheat biscuits can of course be made any time of year, but use your cookie cutters, and they are especially fun for Christmas! Knead together until well combined. 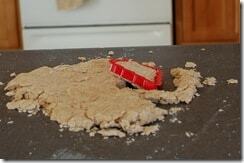 Put dough onto a floured surface, and roll to 1 inch thick. Cut out with a biscuit cutter, or cookie cutters. Dough will be a bit crumbly, so just keep pushing the dough together to form shapes. 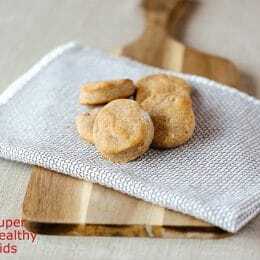 Why should you include whole wheat in your diet? Weight control. According to WHFoods, a large scale study showed those who ate more whole grains, consistently weighed less than those who ate refined grains. Whole wheat is rich in fiber. The bran and germ portion of the grain has vitamin B1, B2, B3, E, folic acid, calcium, phosphorus, zinc, copper, and iron…. all which are lost during refining. I’ll tell you one benefit for me in using whole wheat over white flour products, is merely portion control. In our home, if there is a bag of white bread, it is eaten 3 times faster than our whole wheat bread. Just sayin… You too? Mix all dry ingredients together. Then add remaining ingredients. Bake at 450 degrees for 8-10 minutes. Kudos on another great whole grain recipe! I love the yogurt, way to add a little more calcium. 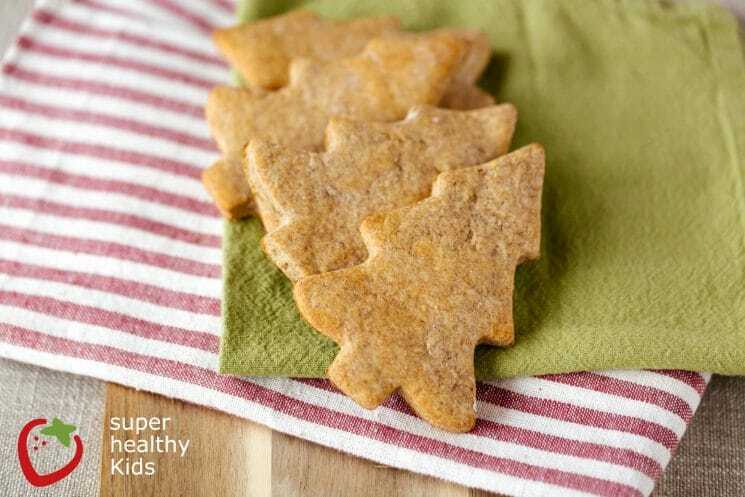 I think I’ll try these out with some dried cranberries for an extra Holiday kick. Thanks! Yum!! I would love it with dried cranberries! I need to make these! My Little Man is being anti grains lately, but will eat muffins/roll form. Great recipe. We call these scones in Australia and they turned out great. The dough wasn’t crumbly at all – maybe the Australian ingredients were a bit different. They also keep really well. These look so good! Any substitutions for the powdered milk? Since it’s only ¼ of powdered milk, I bet you could get away with not using it at all! If you try it, let me know! How firm do these end up? 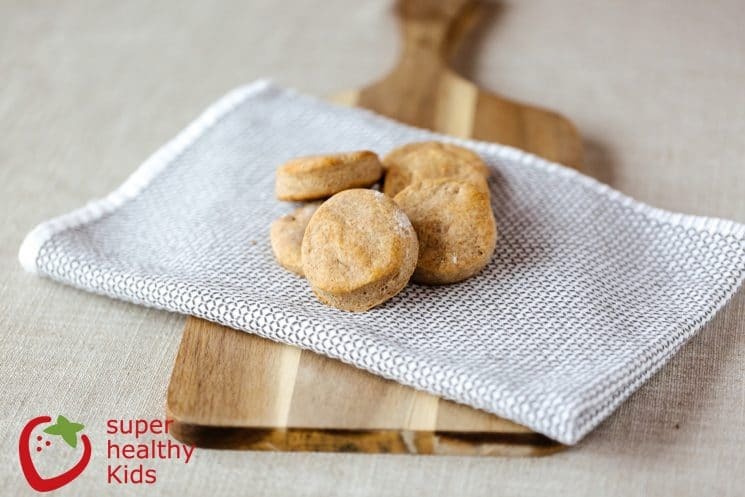 I have 9m twin girls and am looking for a naturalish teething biscuit/healthy grain finger food. Thanks! Gabrielle, they are soft and bread-like! I like the puffiness of these biscuits, but the amount of salt definitely needs to be cut down.